Natural herbs have been in use since the dawn of time. The Chinese have been using these flavorful weeds for everything from spicing up a favorite dish to curing allergies. Common herbs are most known for their culinary uses. 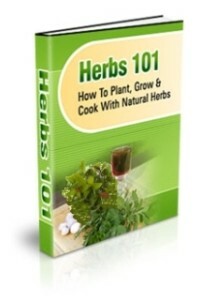 There are medicinal applications for herbs as well. The Native Americans knew the value of an herb. Whether it was to cure a toothache or cure an upset stomach, there was an herb for everything. Some of the best foods are made to taste that way because of an herb. Herbs 101 will guide you through the many different herbs, growing them, their many uses and applications, and how use them in cooking.